An update to the iOS version of video streaming app Netflix adds some new features, including optimization for the 12.9-inch Apple iPad Pro. The content is now the correct resolution for the device. The update, to version 8.0 of the app, adds the “post-play experience" for iPhone users. This feature makes it easier to binge watch a T.V. series by auto-playing the next episode. It also provides movie recommendations based on the film you just viewed. And Netflix now supports 3D Touch for the Apple iPhone 6s and Apple iPhone 6s Plus. While you're browsing the Netflix library, a light tap on the screen will provide you with more information about a specific title. A harder touch will allow you to start playing the movie or television show, see more details, remove it from your list, or share it. There is no 3D Touch action when you tap on the app icon, but perhaps that will come at a future date. 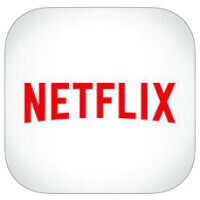 The latest version of Netflix for iOS is now available in the App Store. Simply click on the sourcelink to install it on your iPhone, iPad or iPod. While the app is free to download and install, the monthly service charge is $7.99 a month for one screen, running up to $11.99 a month for four screens.